Perler beads are some kinds of small fusible plastic beads. 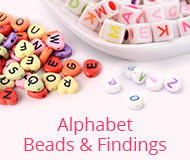 These colorful fuse beads are usually placed on pegboard to form designs and then melted together with a clothes iron. Some common perler beads ideas are making them into animal shaped crafts, stringing hama perler beads into necklaces and bracelets or weaving fuse beads into keychains. There is no doubt that diy perler beads is fun and inexpensive art activitiy that inspires creativity, it is easy for kids as well. Nowadays, diy perler beads become more and more popular because it is so easy and fun to do; kids and parents can diy perler beads at home; teachers can also choose diy perler beads as a regular activity on their craft classes. No matter what perler beads idea you have in mind, you always need to prepare perler beads, pegboard, perler beads template, or perler beads pattems to start your diy fuse beads project. If you don’t want to buy these materials one by one, you can choose perler beads set which includes these mentioned materials. Shop low price perler beads supplies and perler beads for kids at Pandahall and high-selections will be shared below. Perler beads are made of low-density polyethylene (LDPE), a food-grade plastic without containing harmful chemicals. 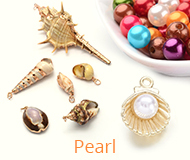 The most common bead size is 5mm in diameter, suitable for both kids and adults. Creative perler beads ideas can help these perler beads for a convenient and user-friendly start-up. Pandahall provide huge selections of perler beads templates for your creative perler beads ideas. 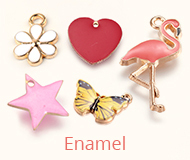 There are various cute templates like dog, butterfly, fish, flower, elephant, rabbit, etc. Perler beads pegboards, which have different geometric shapes, are used for DIY perler beads with different designs. These pegboards help to develop the kids' practice ability, on the color recognizing ability or make a precious gift for your friends or family. Apart from perler beads and supplies, Pandahall also offers perler beads set including perler beads, pegboards, cardboard templates, plastic beading tweezers and gummed paper! What a marvelous set for kids!